Our Design & Décor Showrooms are the most recent innovations from Ring’s End. We want to offer customers the finest quality designer products at reasonable prices, plus professional design and installation services. And we want to make it convenient for customers to coordinate window treatments and related items with the windows themselves, with moldings, and with paints by putting all these products in the same location. Visit one of our Design & Décor Showrooms soon. We think you’ll be pleasantly surprised! Vertical blinds are ideal for wide window expanses, patio doors, and sliding glass doors. Available in hundreds of fabrics, materials, and colors, vertical blinds can enhance a sleek, contemporary interior or provide an elegant way to control light in more traditional settings. 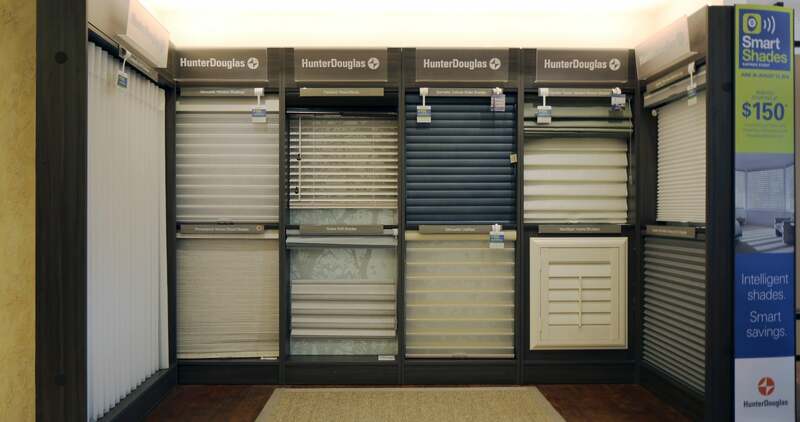 We carry a large selection of Hunter Douglas vertical blinds at our Branford, Danbury, Darien, Fairfield, Lewisboro, New Milford, Norwalk, Stamford Harvard Ave, Stamford High Ridge, Trumbull, Westport, Wethersfield, and Wilton locations. 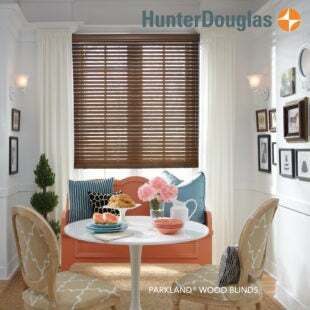 Hunter Douglas horizontal blinds are constructed from the finest North American hardwoods, from alternative woods especially engineered to withstand heat and humidity, and from top-quality aluminum in many beautiful colors and finishes. Hunter Douglas blinds are sold at our Branford, Danbury, Darien, Fairfield, Lewisboro, New Milford, Norwalk, Stamford Harvard Ave, Stamford High Ridge, Trumbull, Westport, Wethersfield, and Wilton locations. Shades come in many types, including the clean, classic roller shade, the elegantly tailored roman shade, the energy-efficient honeycomb design shade, and the naturally beautiful woven wood shade. 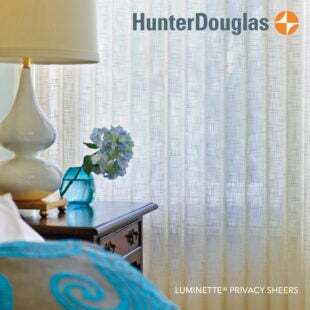 All our Hunter Douglas shades offer a huge variety of fabric, color, and light-filtration options. 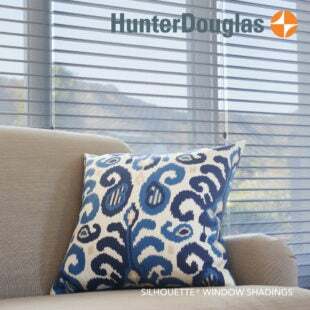 Hunter Douglas shades are sold at our Branford, Danbury, Darien, Fairfield, Lewisboro, New Milford, Norwalk, Stamford Harvard Ave, Stamford High Ridge, Trumbull, Westport, Wethersfield, and Wilton locations. Fabric sheers provide privacy and light diffusion; they come in a range of opacities to meet your needs for privacy, light control, and UV ray protection. Shadings are combinations of sheers and blinds that offer optimum light control and increased energy efficiency while giving a room distinctive, innovative style. 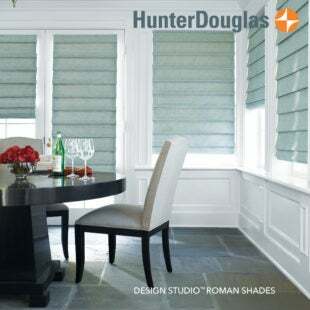 Hunter Douglas sheers and shadings are sold at our Branford, Danbury, Darien, Fairfield, Lewisboro, New Milford, Norwalk, Stamford Harvard Ave, Stamford High Ridge, Trumbull, Westport, Wethersfield, and Wilton locations. Interior shutters give your home a classic plantation look. 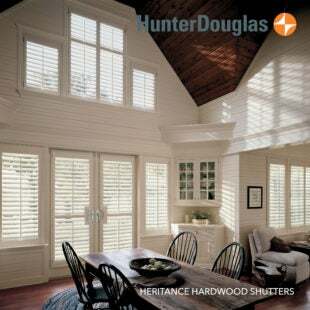 Hunter-Douglas shutters are available in traditionally crafted hardwood, in combinations of real wood and advanced modern-day materials, and in durable, UV resistant polysatin compound. All materials are available in many designer colors, stains, and finishes a well as in custom shapes and sizes. Hunter Douglas shutters are sold at our Branford, Danbury, Darien, Fairfield, Lewisboro, New Milford, Norwalk, Stamford Harvard Ave, Stamford High Ridge, Trumbull, Westport, Wethersfield, and Wilton locations. Whether you want custom draperies or coordinating upholstered pieces, Ring’s End can supply some of the most elegant, luxurious fabrics available anywhere. Woven tapestries, jacquards, printed linens, silk embroideries, cotton damasks: choose from a wealth of sumptuous textures and colors by exclusive fabric designers like Manuel Canovas of Paris, Stroheim, Morris & Co. (UK), and Nina Campbell. 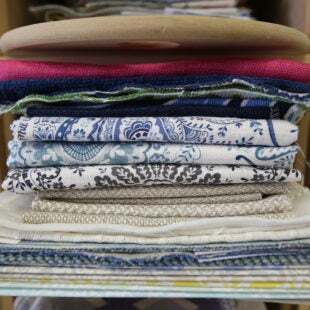 Fabric is sold at our Danbury, Darien, Fairfield, Norwalk, Stamford Harvard Ave, Stamford High Ridge, Westport, and Wilton locations. We offer gorgeous wallcovering collections from the top design houses such as Scalamandre, Thibaut, Schumacher, and Zoffany. Select among hand-woven grasscloths and silks, paper-backed natural linens, embossed vinyl, modern and historic prints… in colors and patterns ranging from traditionally elegant to boldly contemporary. Wallpaper is sold at our Danbury, Darien, Fairfield, Norwalk, Stamford Harvard Ave, Stamford High Ridge, Westport, and Wilton locations. Ring’s End is proud to carry Dash & Albert rugs Dash & Albert rugs – a trendsetting, fashion-forward line of exceptional quality and design. The fresh colors and patterns will enliven a traditional interior, complement contemporary décor, and provide a comfortable underfoot surface for porches, patios, and decks. 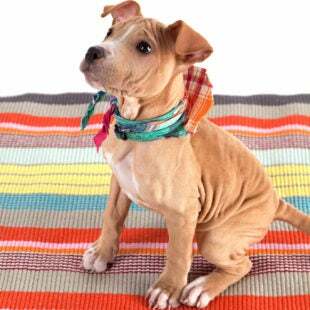 Dash & Albert rugs are available in wool, cotton, jute, viscose blend, and indoor-outdoor materials. Rugs are sold at our Danbury, Darien, Fairfield, Norwalk, Stamford Harvard Ave, Stamford High Ridge, Westport, and Wilton locations. We carry specialty premium paints, which typically have higher concentrations of pigments than most commercial paints, as well as exclusive color palettes. Also available are studio finishes such as glazes, metallics, chalkboard, Venetian plaster, and glitter effects. These fine designer and decorative paints can transform interiors and exteriors from the ordinary to the extraordinary.